It seemed that the sun of this Aviation Entrepreneur of India would never be lost. Mr Naresh Goyal was one of the first people to jump in after this area was opened to private players in 1991. Since then, on the basis of market share, it is a journey to the skies of the founder of India's second largest Airline. A prominent example of entrepreneurship, Goyal introduced Indians to a great flight experience and gradually became Jet Airways's favorite airline for many people. 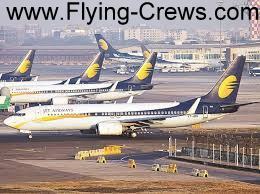 In 2010, Jet became the country's largest airline with more than 20 percent stake in the passenger market. It took months for Jait to step in the international market, that news of its poor condition worsened. In May of this year, the airline celebrated its 25th anniversary and Goyal seemed optimistic about the future. In the company's annual report, he said, "The possibilities are bright."